Tristan and Pete collaborated with Old Ox brewers on Mom’s Little Nut Brown Ale, a Northern English Brown style. It is a medium-light bodied, reddish brown ale with a sweet malt aroma. Mom describes it as having a light caramel and nutty flavor, balanced with subtle hops. It has taken two years and a blending of six different grains and two hops to produce this wonderfully drinkable ale with 4.7% ABV. 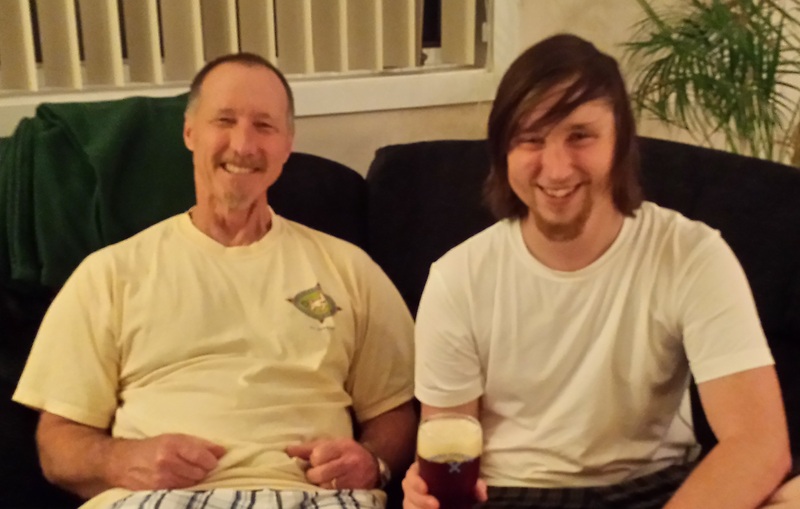 Tristan and Pete have been members of NoVa Homebrew Club since 2013 and have been brewing all grain beers since 2013. Raptor American India Pale Ale is a hop forward American style IPA. Columbus, Citra, Simcoe and Chinook hops give this brew a large aroma of fruity citrus and resinous pine as well as a pleasantly bitter flavor. It is fermented with a neutral American Ale yeast strain. English Maris Otter, German Munich and Caramel 60 malts give it just enough malt backbone to bring it all together. Jason Bryant got started homebrewing more than six years ago when a friend found an expired “Mr. Beer” kit in his garage and threatened to throw it out. Jason rescued that helpless beer kit and was introduced to a whole new world of fermented creativity. He is now brewing 10+ gallon batches of original and award winning beer. Jason is a member and officer of the local Wort Hogs homebrew club (http://www.worthogs.com) where he is a three-time winner of “Brewer of the Year”. 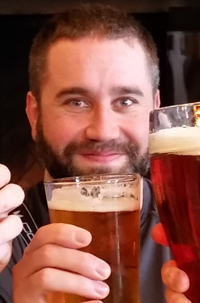 Jason has won numerous medals at the local, regional and national level and currently has three beers advancing to the upcoming final round of the National Homebrew Competition. The Tasting Room is open from 4:00 to 9:00 p.m. Arrive early…quantities are limited!